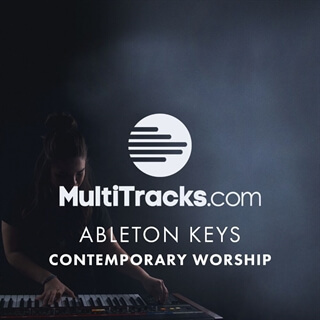 Ableton Keys: Contemporary Worship is an Ableton native bundle of sounds designed for the modern worship keyboard player who needs to equip themselves with a strong core of pianos, e-pianos, pads and synths. Designed by Daniel Ferguson, these flexible instrument racks are compatible with Ableton Intro, Standard and Suite and spread across 4 tracks in Ableton, allowing you to blend the sounds together in any way you wish. The download includes a folder of patches allowing you to simply drag and drop the presets into different orders or easily into different Ableton sessions. The bundle contains 51 presets and over 2GB of samples which are mixed and ready to go, all housed in a streamlined layout based on using MIDI-clips to trigger your different sounds. Either map the MIDI clips to buttons on your controller, or copy and order them to trigger in time with your multitracks or simply scroll between them with one preset shift button. Ableton Keys: Contemporary Worship gives you everything you need if you are moving to Ableton from other software like MainStage, whilst also being packed with unique sounds for Ableton power users wishing to expand their library. This bundle is not compatible with Windows 10 machines running Ableton Live 10 due to files not being compatible.